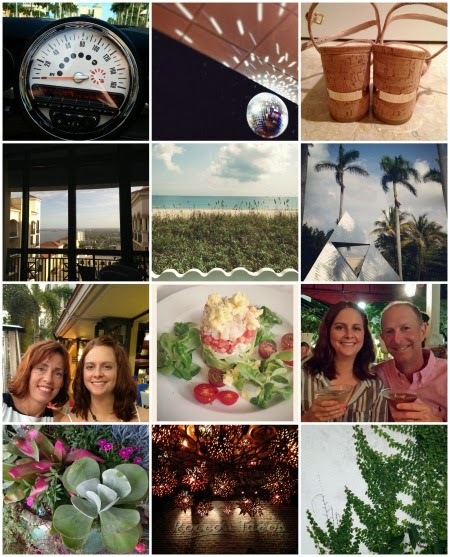 Scenes from my week in Florida last week... I always love going down to West Palm Beach. I make a point to eat, drink and shop, enjoying all that WPB and Palm Beach has to offer. A few things to call out: the beautifully large succulent in the lower left, the delicious salad in the middle from BrickTop's, new shoes from the Off 5th outlet in the upper right, and cruising around in my step-mom's Mini in upper left. Til next year, WPB! Such pretty pictures! Happy Friday! So jealoussss it looks amazing! looks like you had an awesome time!!! i miss florida! Love it! I'm going to WPB end of April- can't wait.